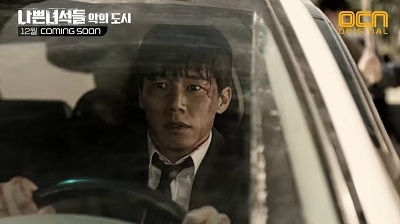 The first teaser trailer is out for the upcoming OCN drama Bad Guys 2 starring Joo Jin Mo (Woman With a Suitcase), Park Joong Hoon (Hanji), Kim Mu Yeol (My Beautiful Bride), and Ji Soo (Strong Woman Do Bong Soon). It’s our first brief look at the drama, but it already gives us a car chase and a full out brawl. It certainly looks like it will follow in is predecessor’s footsteps and be an intense and gritty ride! Bad Buys: Age of Evil follows a group of prosecutors and criminals who team up to catch other criminals. The original writer, Hang Jung Hoon, will be penning the script with the PD of Police Unit 38. Bad Guys: Age of Evil is looking to air in December on OCN. Same here! I’m ready for another intense ride!